It's not every day that you find something that flies in the face of documented history. But this is what makes software archival so interesting. 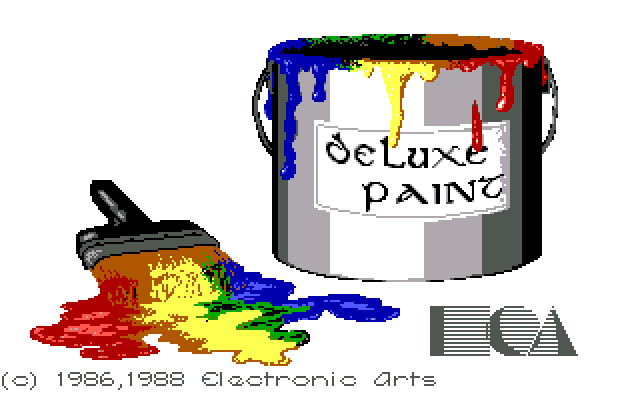 DeluxePaint was a popular late 1980s/early 1990s graphics program origionally released on the Amiga in 1985 and then ported to DOS. Notably it was used by many video game makers. 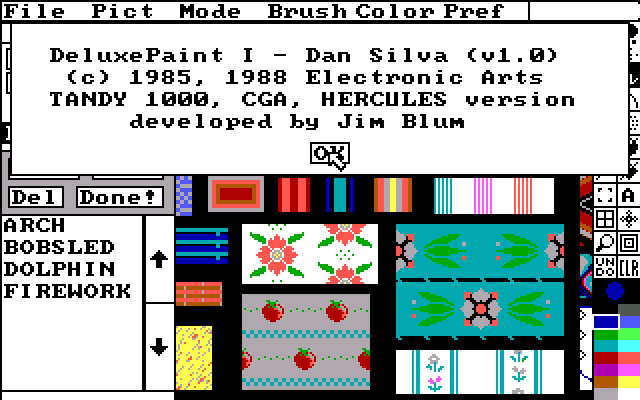 On the surface anyway, sources seem to indicate Deluxe Paint II was the first version for the IBM PC. The file dates on this disk suggest that DP I 1.0 and DP II 2.0 were released at about the same time for the PC at the beginning of 1988. This disk also came with a leaflet advertising the more powerful features, as well as higher system requirements, of DP II. This suggests that Deluxe Paint I may have been sold along side DP II as a "budget" version for use with lower-powered computers. 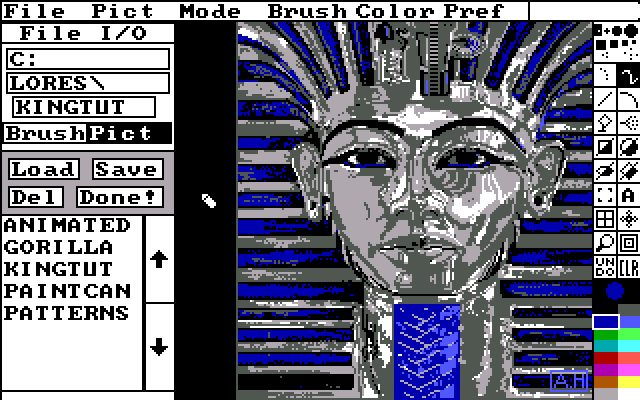 Deluxe Paint I supports only CGA 4 color, CGA mono, Tandy 16-color, and Hercules graphics modes. It requires only an 8088 based IBM PC compatible or Tandy 1000 with 384K Ram or higher. It all fits on a single 360K 5.25" disk. In contrast, Deluxe Paint II supports EGA and VGA modes, has more features, and reportedly requires 512K of ram and a minimum of a 286 CPU. Deluxe Paint I will therefore work on an original IBM 5150 with only floppy drives and CGA. Although it supports 16-colors on the Tandy 1000, Deluxe Paint I will not work with 16-color EGA. There are some user interface differences between the two, such as open dialog boxes that stay on the edge of the screen. But over all Deluxe Paint I for the IBM PC feels similar to Deluxe Paint II and probably shared the same code. So, all and all, not terribly earth shattering, but an interesting somewhat overlooked title none the less. I also have this same disk. I just wanted to let you know that latest DeluxePaint II Enchanted 3.0 works great on my XT clone with 8088 (i.e. not V20), so not sure where 286 minimum requirement comes from. One of the magazines I was using as a reference stated a 286 requirement, but I didn’t get around to checking the actual minimum requirements. They may have just meant it was recommended, which would still depend what they thought people would do with it.